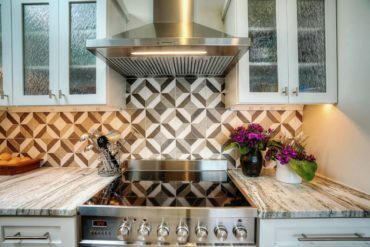 Every year, we gather our panel of design experts to discuss what are some of the hottest design trends. 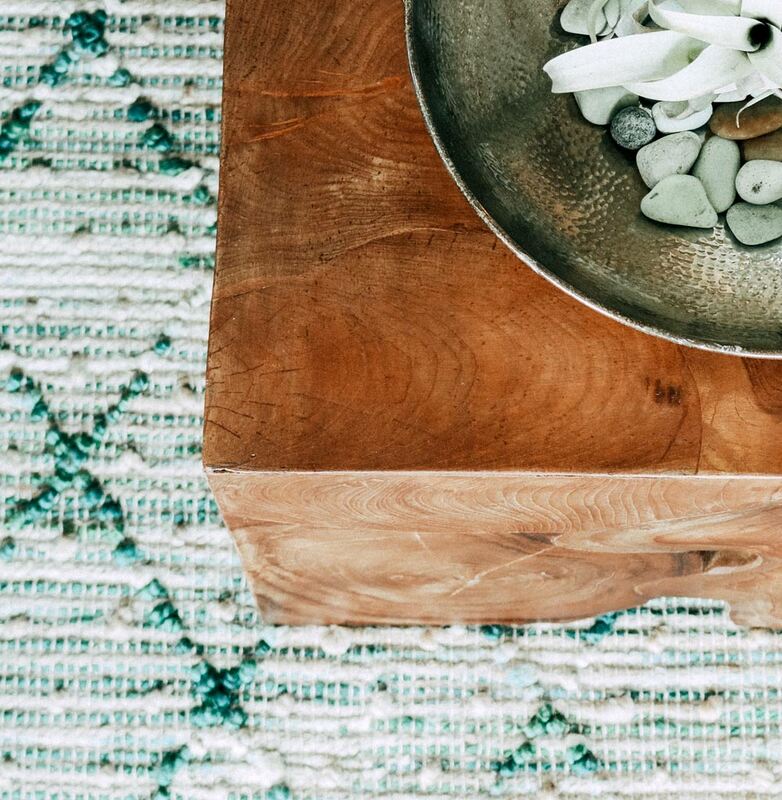 In 2019, expect to see more high-performing fabrics, natural-looking finishes, natural materials like wood, and more recycled and upcycled choices for the environmentally conscious. 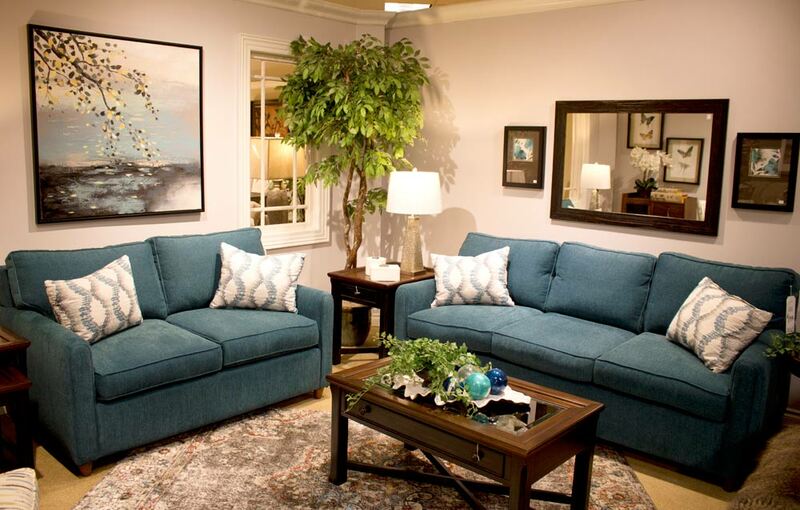 Colors range from bold to the more casual grays and blues. And, of course, the home is becoming more high-tech — there are new apps for just about everything! As any good designer will tell you, trends come and go. The best advice for creating a timeless look is to choose based on quality, your personality and your lifestyle. We’ve asked our designers to weigh in on what new and returning trends they are seeing, and to share some advice on how to use these trends for fresh design ideas. 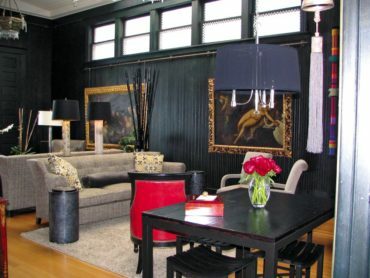 Alinda Morris is a nationally published, award-winning interior design professional, habitual remodeler, adventurous creative, entrepreneur, wife and mom, specializing in full service, luxury residential interior design: Custom furnishings, unique kitchens and artfully designed bathrooms, attention to details, and clean, updated spaces are her specialties. She has the experience, education and talent to provide interior styling that includes furniture procurement and installation. 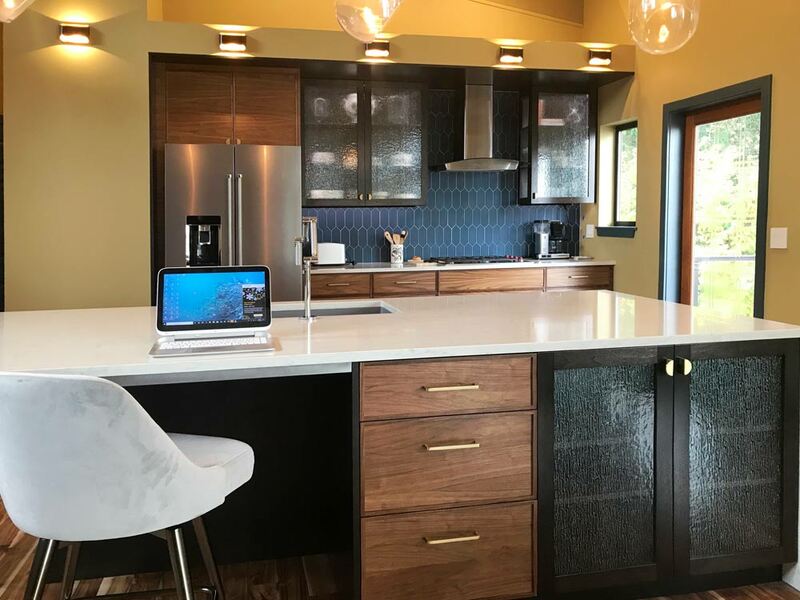 She also offers thoughtful space planning, detailed floor plans, elevations, sketches, finish selections, cabinet drawings and furnishings to take your remodeling project from beginning to magazine-ready completion. This past fall, Alinda Morris attended the High Point Market, the largest furnishings-industry trade show in the world. She noticed a strong 1970s influence; opulent, bold colors that are uninhibited yet optimistic — a fun perspective on mixing styles and patterns — and large floral prints, geometric shapes and curved furniture with a focus on local and handmade goods. 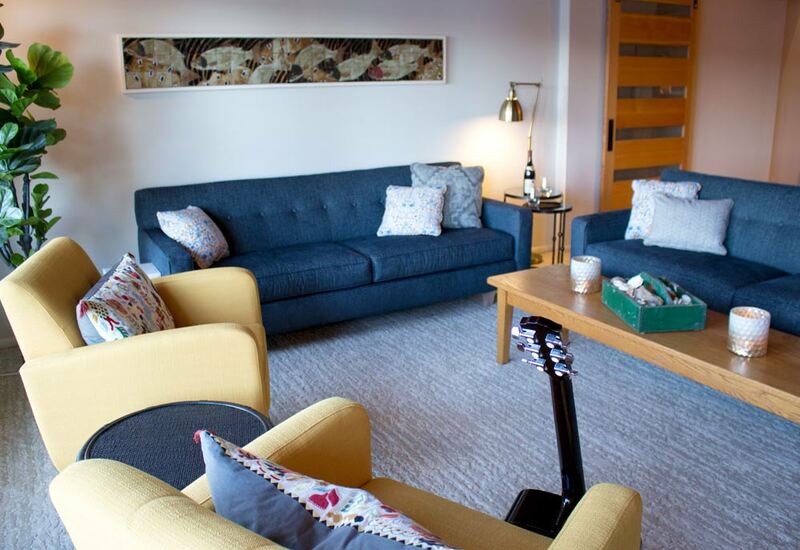 Morris loves incorporating statement pieces from local artists and artisans. 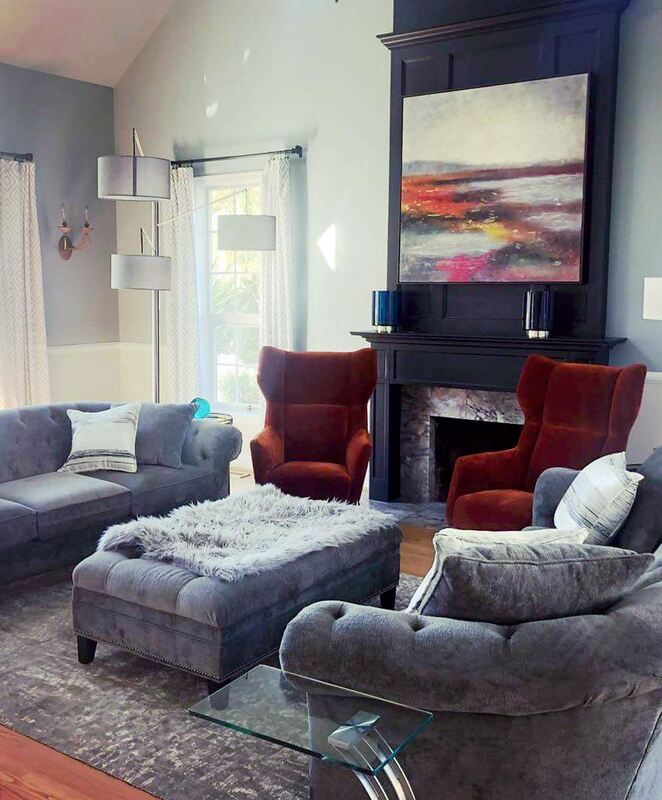 She often uses custom upholstery, fine furniture, art and accent pieces made locally — not only pottery and accessories but also lighting fixtures made by local studios, as well as drapery, window coverings and wall coverings made by local workrooms. “This allows me to support my community but also have control over quality and a true collaboration through the design process,” she says. Furniture: Morris sees resurgence in bold colors. She says green was the hottest color at High Point Market. “We saw deep, dark greens in lush fabrics, such as velvet on sofas, in every shape and size,” she says. She prefers to work in a muted color scheme, with lots of texture and layers. 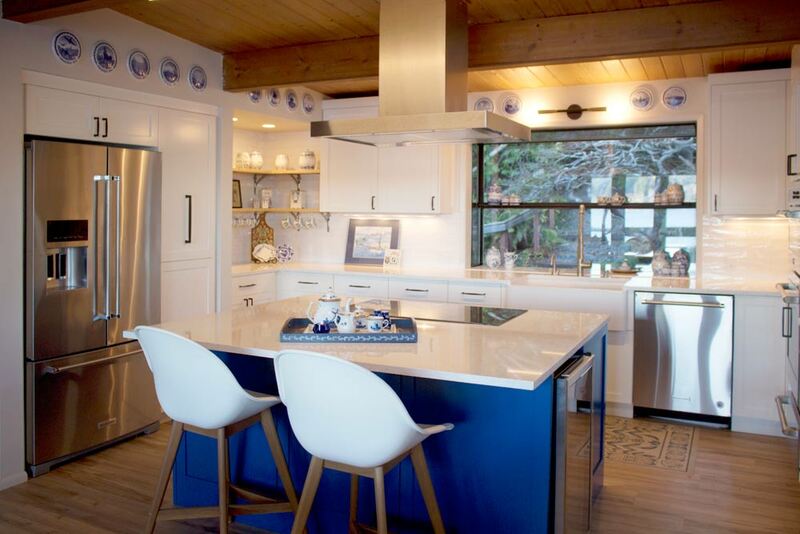 Cabinets: Deep bold, saturated blues like Benjamin Moore Blue Note or Hale Navy are gaining popularity. These work well against a bright, white background. “White is a classic beauty and is much more a mainstay than a trend,” Morris says. Fabrics: High-performance fabrics are revolutionizing furniture, Morris believes. 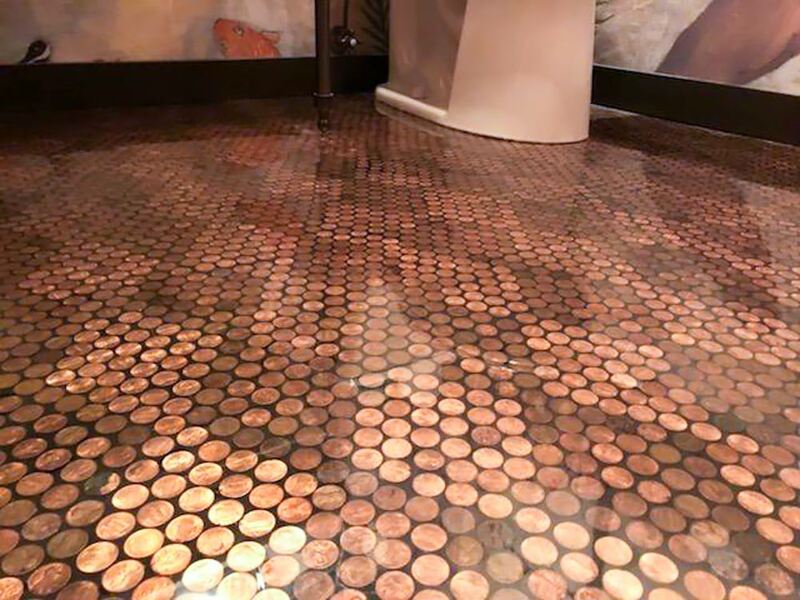 They are durable, stain-resistant and easy to clean. Some of her favorites are Crypton, Revolution and Sunbrella. Lighting: Unusual shapes and materials such as concrete, as well as strong geometric forms and large-scale fixtures in a variety of glamorous finishes, are hot trends. Windows and doors: Energy efficiency is popular, as are black exterior trim and mullions. Bifold doors and operable glass wall systems continue to redefine architectural possibilities. Consider your sightline and group like finishes together. Choose the dominant metal first, then follow with complementary (undertones). Brass and oil-rubbed bronze work best together. Nickel can work well with chrome when they’re combined in a balanced way, with an equal amount of fixtures in both finishes. Matte black is friends with everyone. 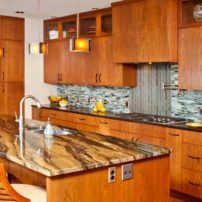 Counter surfaces: There are many textured and tactile surfaces such as honed and but polished leather continues to be the most popular. 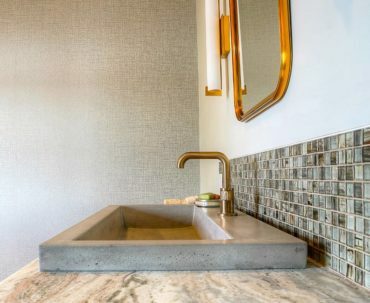 White-and-gray marble and quartzite continue to be strong, popular materials into 2019 for bathrooms and kitchens alike. “These materials are classic and timeless,” she says. 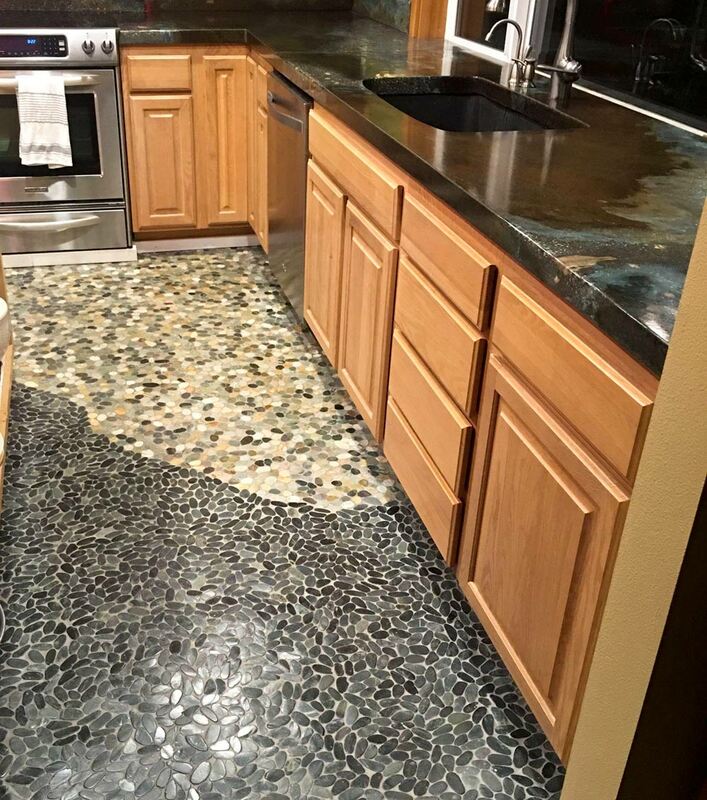 Morris believes that man-made products like quartz are great because they are nonporous and do not have to go through regular resealing. “The colors are uniform but lack depth and variation that nature does best,” she says. 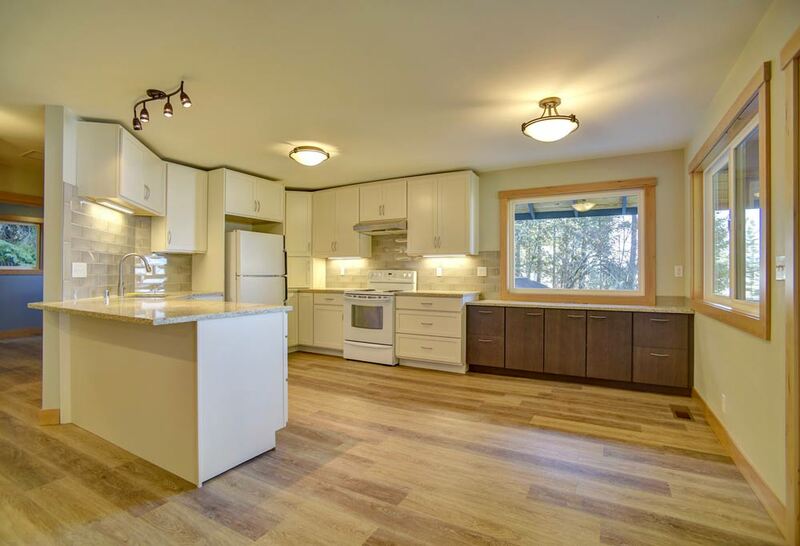 Floor coverings: Morris recommends engineered floors in wider planks and prefinished floors in brushed, ceruse and white washed finishes; other recommendations include environmentally friendly, water-based finishes rather than solvent-base type. Natural materials: Morris loves lighter wood tones. “Oak is constantly being thoughtfully transformed in furniture, cabinets and flooring,” she says. Smarter sustainable furniture: The quality is the same as using conventional materials and in most cases, even better, Morris says. 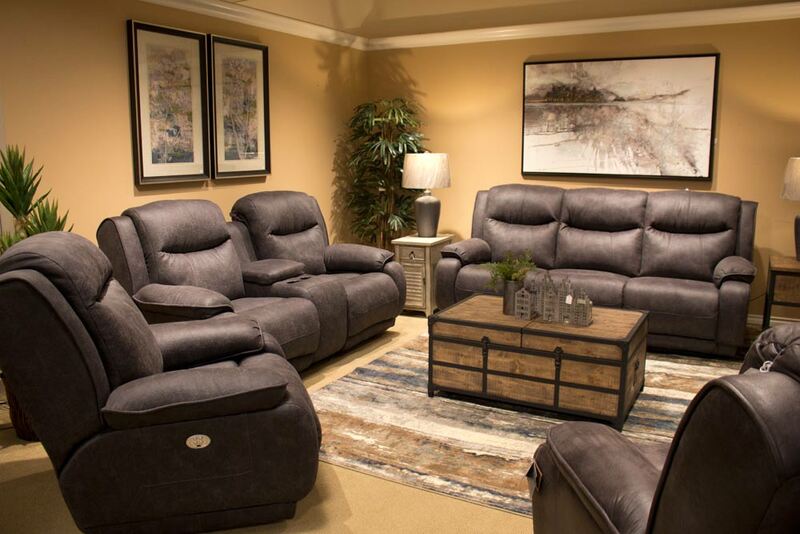 Soy-based seat cushions offer better comfort, consistency and durability than conventional seating packages. Low-VOC finishes reduce harmful chemicals, providing the same beautiful hues. Advice to the novice: Start with a plan and clear goals of what you want to accomplish. 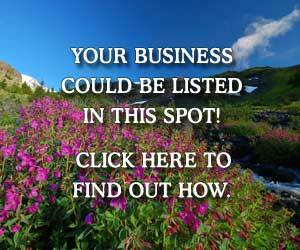 Collect your ideas in one place such as Pintrest or Houzz. If you get off track, refer back to your original set of goals. Cate Adams has a degree in art and design from the University of London and has worked in London, Paris and Spain. Adams eventually settled in the Pacific Northwest. 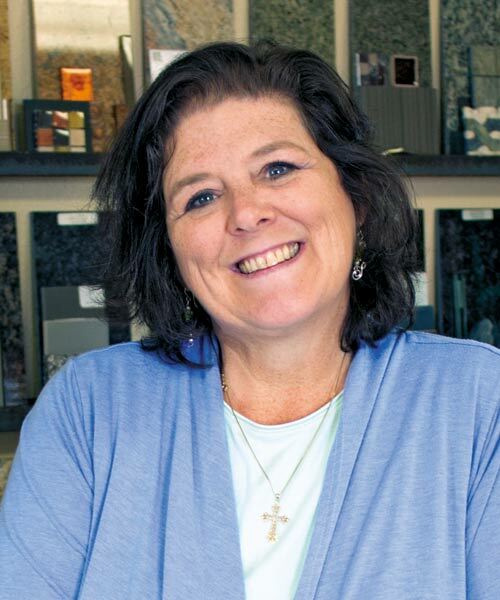 She currently serves as an interior designer with Arnold’s Home Furnishings. She lives with her husband, Jack, in Silverdale. 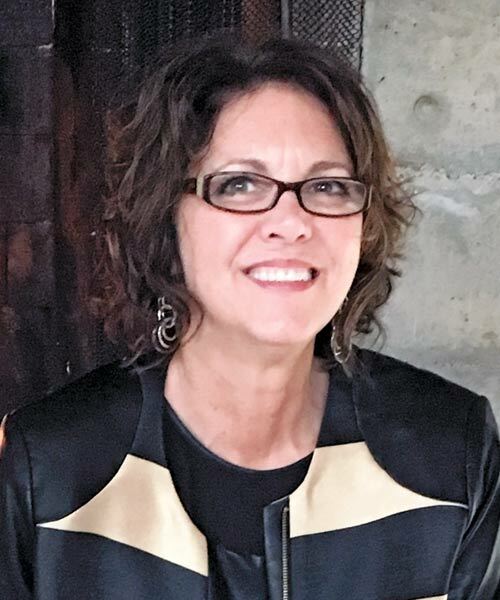 Cate Adams says it’s a very exciting time in the home furnishings industry because there are new introductions in product technology, as well as color and style. 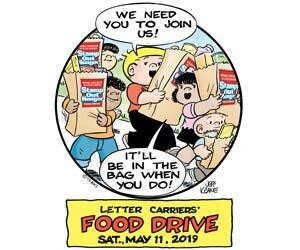 “Consumers are trying to be conscious of environmental issues, so that is translating into trends toward natural, recyclable and recycled products using less materials and energy. Green is the new black,” she says. Fabrics: Made in the USA from upcycled fabrics, “Revolution Performance Fabrics” are stain resistant for life. Upcycling is the process of transforming previous waste into high-performance fabrics, which are resistant to sunlight and stains, Adams explains. They also have exceptional durability. “Sustain” and “Livesmart” are other introductions. The Valdese Weavers have concentrated on durability, cleanability (even with bleach!) and an eco-friendly fabric with a beautiful soft touch. The mattress industry has also been making great strides in technology, Adams notes. The memory foams, both on solid foam and hybrid beds, have brought sleep systems to a new level. “One remark we constantly hear from our customers is, ‘I thought sleeping on a rock was necessary for good back support, but now I can sleep on a cloud.’ If your mattress is more than 10 years old, there is a new experience waiting for you,” she says. Color: Grays and blues are definitely peaking. People relate these colors to a casual, comfortable, calm state — “something we all strive for in this hectic day and age,” she says. Pops of teal and turquoise look wonderful against this background. There’s very little brown to be seen. Rather, the color has been softened with gray and has become a cooler taupe or putty. 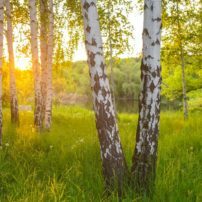 Adams expects to see green coming in very strongly in the next few years: the whole family, everything from soft pastels and milk glass to bright emeralds and deep forests. “This trend will surely delight us here in the Northwest,” she says. The most popular look is a casual contemporary. Adams says that millennials are lounging in soft, deep, snuggly sofas, while their parents prefer firmer, more supportive seating. “Power reclining is here to stay and is being scooped up by every demographic,” she adds. Wood tones on dining and occasional pieces are trending toward lighter tones, although the dark stains are still very popular. Adams sees many sustainable hard woods from Asia, like acai, mango and Tasmanian blackwood, as trending. “We also have the beautiful, handmade dining and bedroom pieces from the Amish, which never disappoint or pale. They are available in many species: maple, hickory, cherry and many more, with stains of every hue,” she says. Advice for the novice: If you are about to plunge into a decorating project, be bold, be brave, and don’t be afraid to ask for help from a professional. 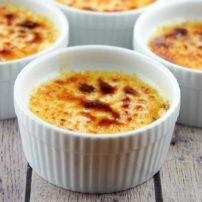 Don’t forget to add texture, she advises. 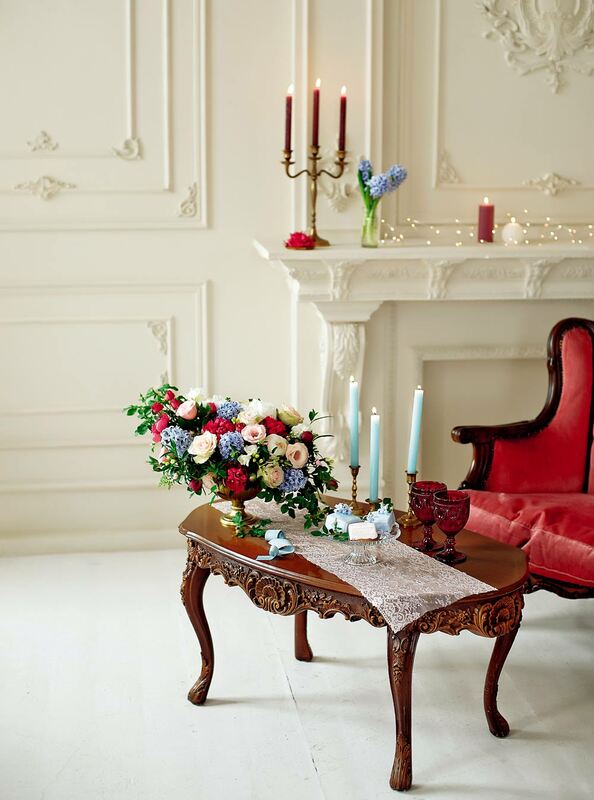 If you decide to add a pop of color, be sure to wrap it around the room, even in small doses. Adams says you should finish one room completely (down to the last little accessory) before closing the door and moving on to the next challenge. 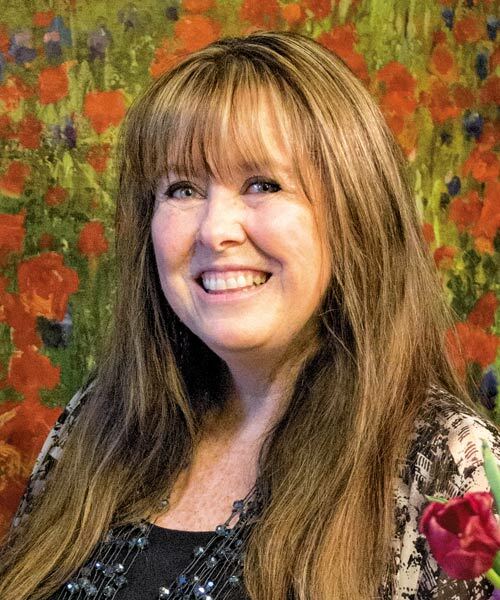 Connie LaMont has been an interior designer and colorist in the Pacific Northwest since 1993. 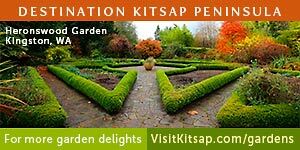 She holds a bachelor’s degree in arts from the University of California in Irvine and a second bachelor’s from the Interior Designers Institute in Newport Beach, Calif. LaMont and her architect husband, Wayne, own LaMont Design Inc. in Poulsbo. 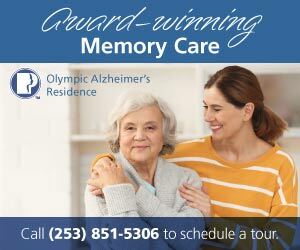 Some of their joint projects include Austin Towers in Poulsbo and Elkhorn Place in Sequim. 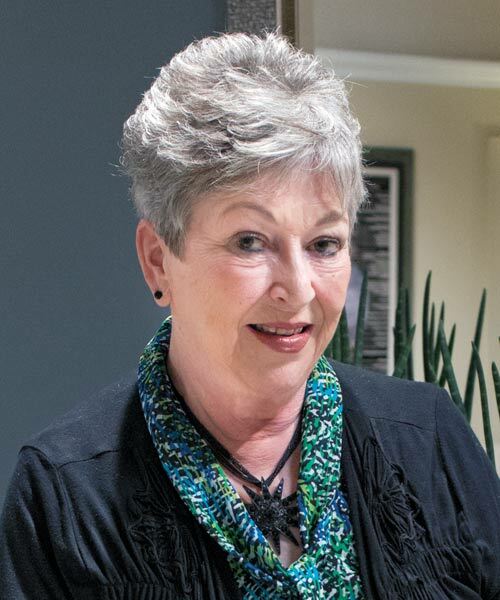 Connie LaMont believes trends are a matter of personal preference — since individuals are all different, so are the trends that are best for them. Her favorite style is to meld old and new, not only vintage and modern, but also loved items from youth and newfound objects from today. “I’m fortunate, because I get to help both types of clients, and help them achieve the balance they desire,” she says. 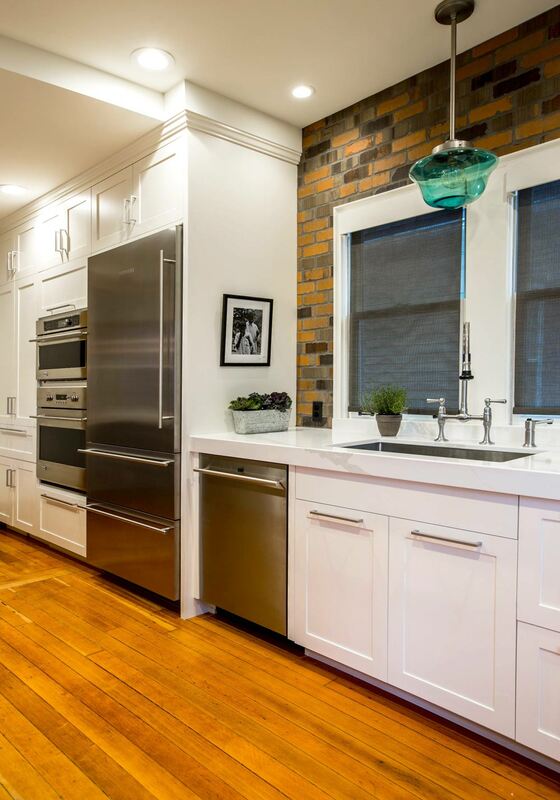 Color: White on white on white is trending everywhere, like white walls with white trim and white cabinetry for a simplified and tranquil interior. 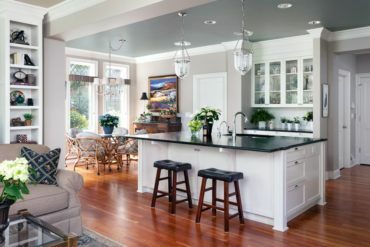 But the complete opposite is also trending — white on white on black, or white on gray on black, like white walls, white cabinetry and black trim for a very dramatic interior, or gray walls, white cabinetry and black trim. “Color is still important to bring into our homes and workplaces, and some people (like myself) are still drawn to color throughout our interiors, on walls and furniture, not to mention all of the art and accessories,” she says. Fabric and textures: Trends include velvet, leather, grass cloth, shiplap, live-edge wood and metals. Lighting: LaMont loves to group light fixtures when more light is needed. “The layering of light fixtures creates a beautiful composition while bringing more light into a room,” she says. There are many light fixtures that also have multiple bulbs. For example, if you need more light in a corner, bring in an arched floor lamp with three shades instead of a fixture that has only one light bulb capability, LaMont recommends. “More and more, I’m seeing light fixtures as a piece of ‘functional art,'” LaMont says. 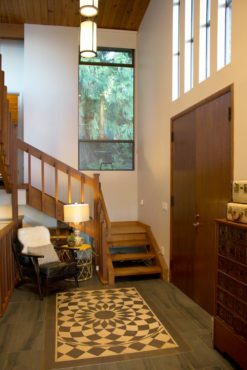 Windows and doors: There are more and more 8-foot doors in interiors, or a standard 6-foot, 8-inch door with a transom window above to create the look of an 8-foot door. Nana Walls are growing in popularity, thanks to the ability to completely open them up into exterior living spaces. Finishes: LaMont likes to mix finishes for depth and interest. 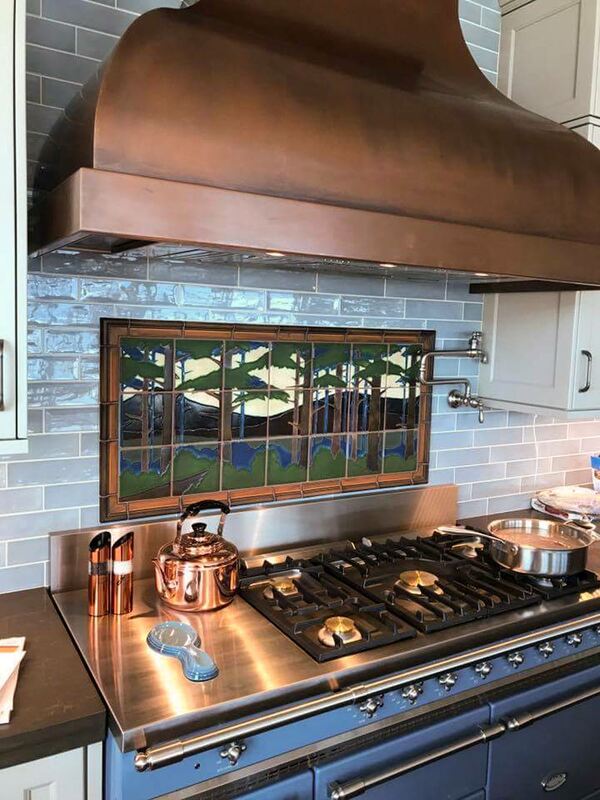 She sees copper making its way back into interiors, and thinks an easy way to introduce this metal would be in a copper hood over your range or cooktop. Counter surfaces: LaMont prefers solid surfaces, like concrete, quartz, granite, glass or laminate. 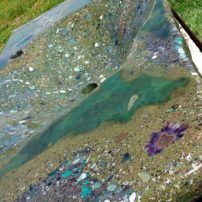 She thinks concrete can become its own form of art, whether it’s a kitchen or bath countertop or a mantel or hearth surface. It can also be used for entire walls in a powder room or as a fireplace surround. Floor coverings: She’s always been a fan of luxury plank vinyl, even when it was called commercial-grade vinyl. Advice to the novice: Make your mark on your interiors. Experiment and have fun. Cheryl Bloom is an award-winning, trained expert in interior planning whose talents have earned a reputation for innovative design in both commercial and residential projects. With an earthy resourcefulness in uncovering unique design solutions, she creates distinctive, comfortable and inspired spaces. Applying experience, education and extensive research, she is known to be a bit of a maverick when perfecting each project to reflect the owner. A critically developed floorplan, carefully chosen materials and furnishings, and colors and textures that layer to create depth come together to reflect the people who live or work in the space. As the principal of Bloom Design Group, established in 1992, she brings an open passion for design to her clients and provides focused design direction to her team. Staying current on emerging resources, she continually expands her scope of ideas, materials and solutions. Cheryl Bloom says many of her clients are looking for universal design and remodeling their homes to adapt them for all phases of life. This means wider doorways, halls to accommodate wheelchairs or walkers and voice-controlled systems. She thinks this is a growing trend. Color: Her favorite for this season is the spicy color of baked terracotta, which recalls the patina of garden pots and Spanish architecture. “It works because it’s not a trend but rather a classic material, like brick or wood. To keep it fresh and not dated, mix it with lots of fresh white, greige, cream, pale beige or gray,” she says. Fabrics: Performance fabrics such as Crypton are an important improvement in current fabrics. 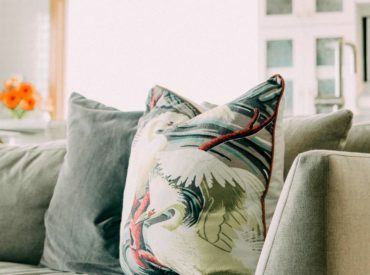 Dogs, kids and red-wine-drinking adults are no longer a concern for spills and stains with these great fabrics. 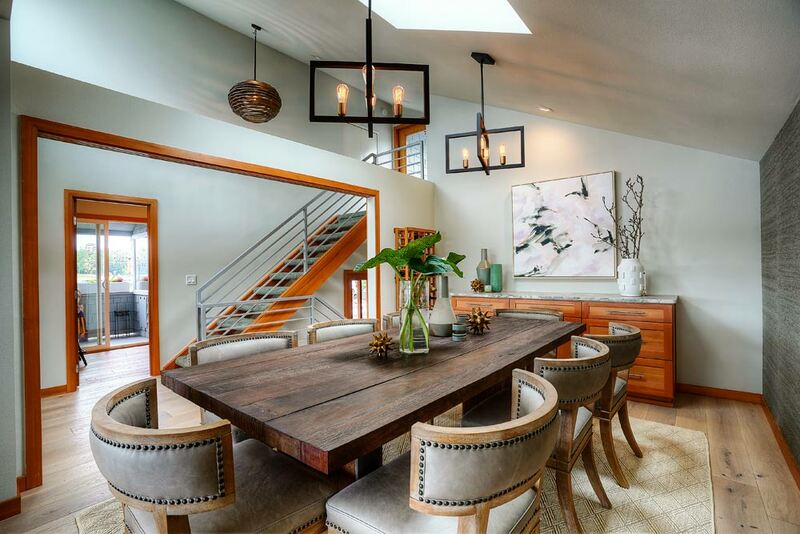 Lighting: Round, bulbous glass pendants are a trend spotted all over market this past fall. Blooms loves this look for the Pacific Northwest. 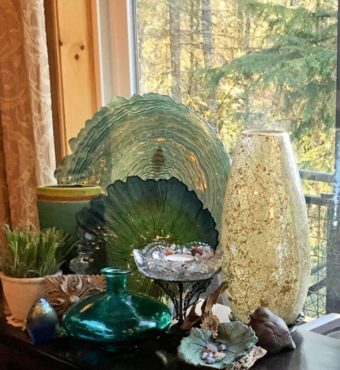 “I think it is the mix of warm materials that I like — the soft light through the opaque glass ball, paired with wood and metal that attracts me,” she says. Another popular lighting trend that is here to stay is LED lighting, perhaps because of its efficiency and longer lifespan, but also for its look. The clean, bright light increases general lighting levels yet uses fewer fixtures. Windows and doors: Bloom likes to integrate the landscaping or views with the interiors in a way that seems almost seamless. 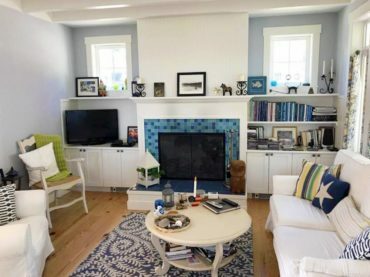 “This opens the opportunity for larger windows or doors such as sliding French doors to create a visual connection to our land,” she says. Other trends include painted front doors, smart locks that are controlled by your smartphone and matte metal finishes on upscale entrance hardware for a strong first impression. 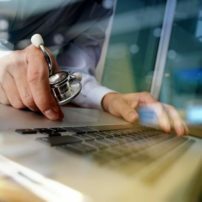 Technology: The smart-home technology era has begun and continues, but what Bloom finds interesting is that as fast as technology is entering the marketplace, consumers haven’t totally yet embraced it. “The amount of advanced planning that’s required for smart homes is incredible, and there are so many new products coming into the market. 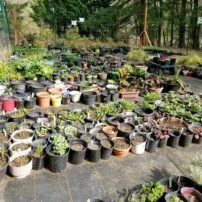 I think if a homeowner wants to employ this type of technology, it really must make a difference in their lives for the investment to be worthy,” she says. 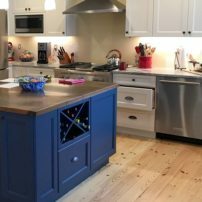 Finishes: Painted cabinets in blues and greens, and stains in warm chestnut or black are making a comeback. 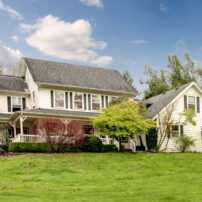 Homeowners want color, depth and character. 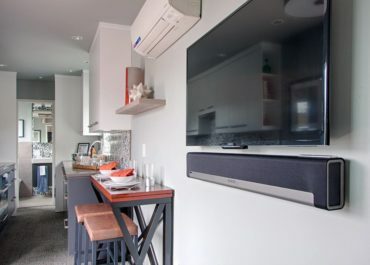 “To give a kitchen attitude, black metal shelves are replacing the open wood shelves of the last few years, in place of standard upper cabinets,” Bloom notes. Another trend: Used sparingly, faucets and hardware in gold patinas, rose golds, black golds, bright golds, mixed with high-end appliances and raw organics. 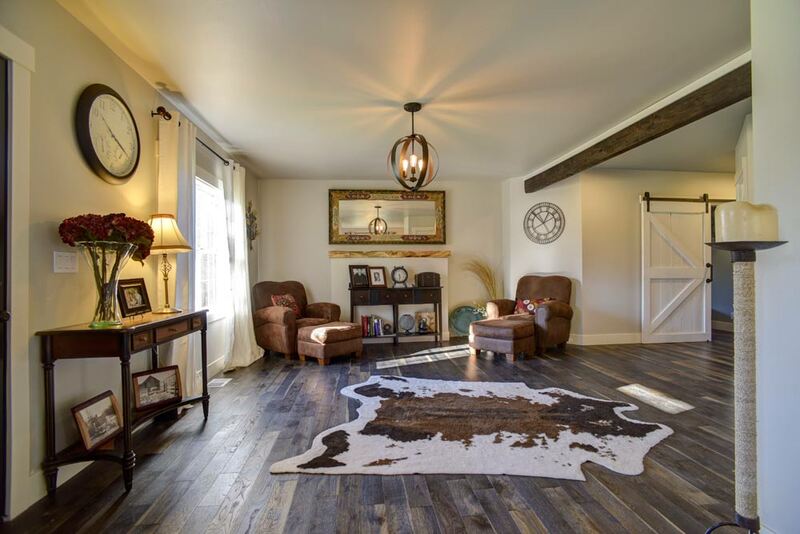 Floors: Wood flooring is a classic choice, and even with the flood of wood-looking flooring options, Blooms says she’ll always favor solid hardwood and engineered wood flooring for its authenticity. Natural materials: At the fall market, a noticeable trend was lights, accessories and table bases that appeared to be dipped in plaster, Bloom says. “I like this nontraditional use of materials in design,” she says. There is also a surge in using both rattan and rope in unexpected ways, such as in lighting and furniture. Advice to the novice: Hire a professional to help you gain direction. 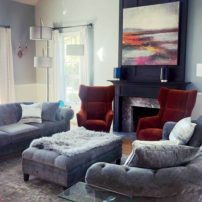 Janet Weber owns and operates her own interior design business with the goal of creating atmospheres that are unique and well-suited to each client’s values, lifestyle and personality. She assists clients in realizing the vision for their homes and commercial spaces by guiding them through each phase of the design process, from the initial space planning to the final selection and placement of accessories. 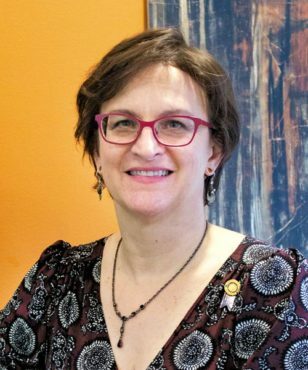 Weber received her bachelor of arts degree from Washington State University and has been working in the industry since 1986. Her professional involvements include Design on Broadway in Everett, Markie Nelson Interior Design in Seattle and Fine Home on Bainbridge Island. Janet Weber believes modular furniture will become popular to reflect mobile, nomadic lifestyle, and stacking tables and multipurpose furnishings will go hand in hand with this trend. Some of the new trends she sees include movable walls to help define open spaces; fringe making a big comeback in the form of tassels and bulky fringe on pillows, lamps and bedding; brass and gold lighting and plumbing; rounded shapes in furniture; and cosmic inspiration in the form of stars, galaxies, celestial and astrological motifs. Color: Blue and matte black will replace gray as the go-to trend color. Navy blue kitchens are coming on strong. Spiced honey has been named the color of the year by Delux, and it’s a warm, sandy, inviting amber tone. Warm autumn shades like cashmere and caramel are back, and neutral colors like sandy shades of oatmeal and stonewashed linen are making a comeback. Ice cream cone pastel colors are also back in a big way for 2019 — colors like lilac, peachy orange, celadon, celery and lemon yellow. Fabrics and textures: Geometrics are still popular. Velvet is coming back as one of the most popular fabrics in 2019. Sustainable fabrics, animal-free leathers and work-free silks are in. Textures are natural, stone-washed, soft and comfortable. Jute and rice paper are textures for 2019. Lighting: Large-scale lighting is very popular, and pendant lights over your kitchen is-land in groups of two instead of odd numbers. 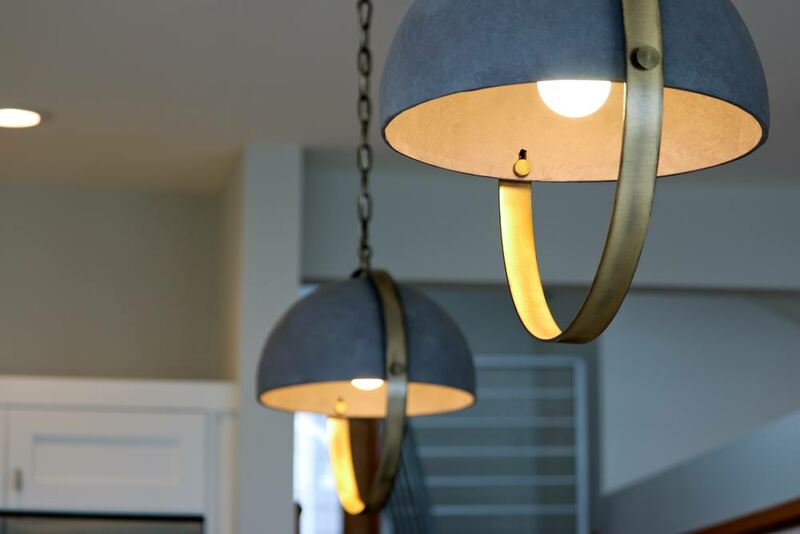 Gold finishes will still be popular on light fixtures and throughout the home. 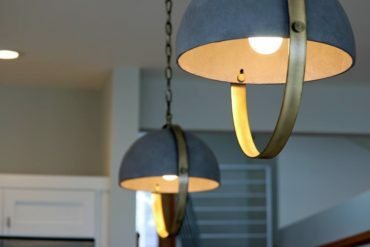 Other popular styles: geometric shapes, refined industrial style, matte black (great finish for light fixtures because it goes with everything, Weber says) and round globe lighting. Windows and doors: There is a growing trend toward dark-colored windows, especially black. “I love the black windows that resemble old warehouse windows,” she says. Large, expansive, floor-to-ceiling windows and doors are very popular because they bring the outside in. Technology: Weber says technology is expanding at a rapid pace and is being used everywhere in the home. 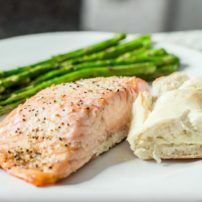 Other examples include a visual garden refrigerator that lights up to show you the produce inside via a transparent window pane to eliminate food waste, and Beko’s new split-and-cook oven that lets you cook at two different temperatures simultaneously. 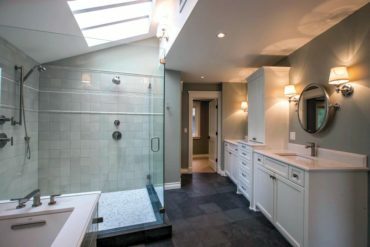 Finishes: The trend toward large, light-weight porcelain sheets for shower and tub sur-rounds is not new, but Weber sees it growing every year. 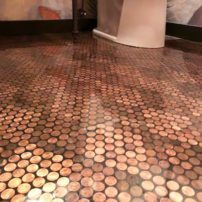 “This virtually eliminates grout in your shower and looks fantastic,” she says. Terrazzo will be a popular finish material because it’s beautiful, sustainable and durable. 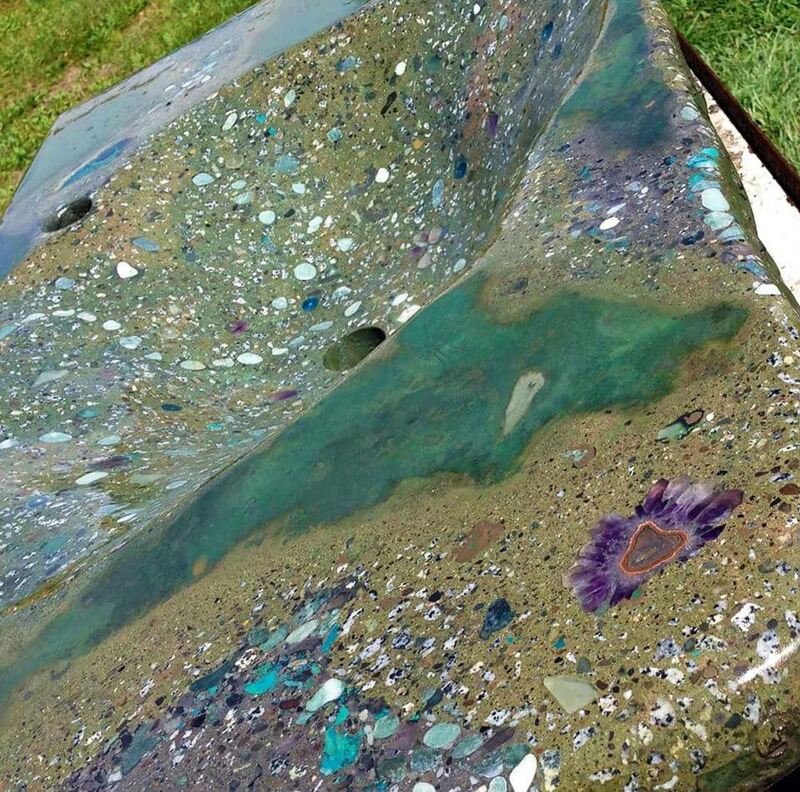 Also, tile that is shaped like scallops, scales and anything curved, wavy and ocean-inspired. Concrete is also a go-to material for bathrooms. “It has that industrial feel but new print and stain techniques bring it into 2019. It is tough, practical yet stylish and on trend,” she says. 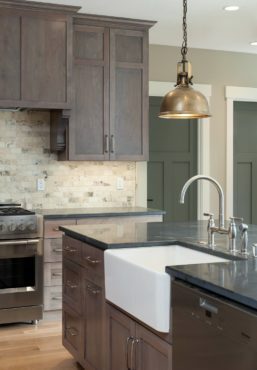 Counter surfaces: Quartz is still the most popular choice for countertops; it’s durable and beautiful. “I like that it is coming in different finishes like honed, concrete and leather. 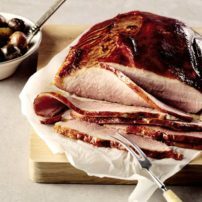 It comes in hundreds of colors and styles and is still the go-to choice for kitchens and bathroom countertops,” Weber says. She notes that some old-standby countertops are also coming back into vogue, like wood and concrete. Natural materials: Trendy choices include marble, terra cotta tile and brick. 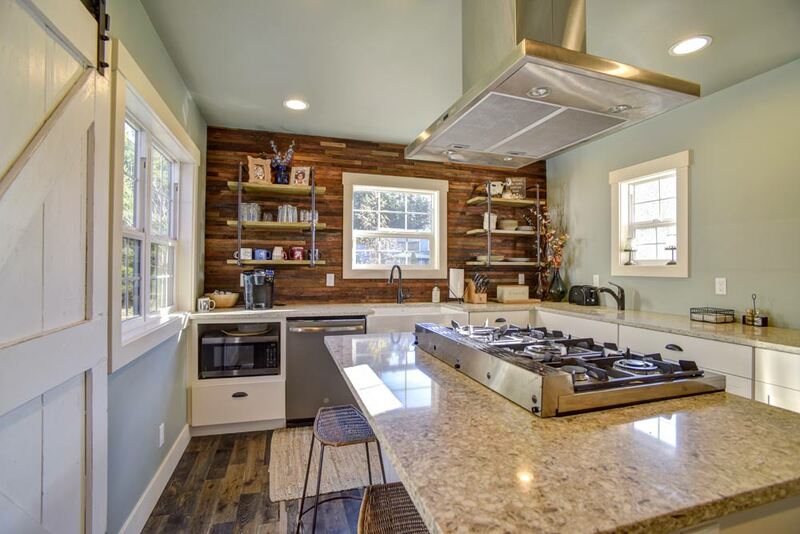 Wood is becoming trendy again for kitchen cabinets. “I think natural stones like quartzite and slate will start to make a comeback, as well as soapstone,” she says. Advice to the novice: Surround yourself with things you love, and you will love your home. “The most interesting homes to me are the ones that look collected over time,” Weber says. Don’t push your furniture up against the wall. Select your paint colors last. Mix up textures and patterns. Use large-scale accessories and artwork instead of lots of small items. Use black and wicker in every room. 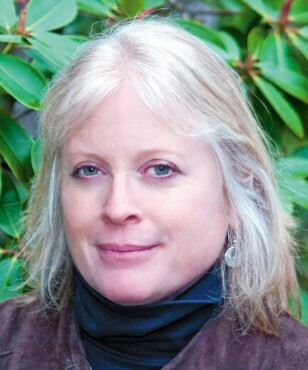 Michele Doyle founded Michele Interiors, Inc. in 2005 after completing her interior design training at the Seattle Art Institute. 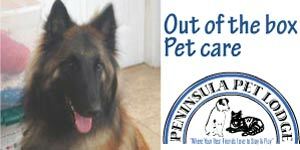 She has been successfully serving Kitsap, Jefferson, Pierce and King counties ever since. 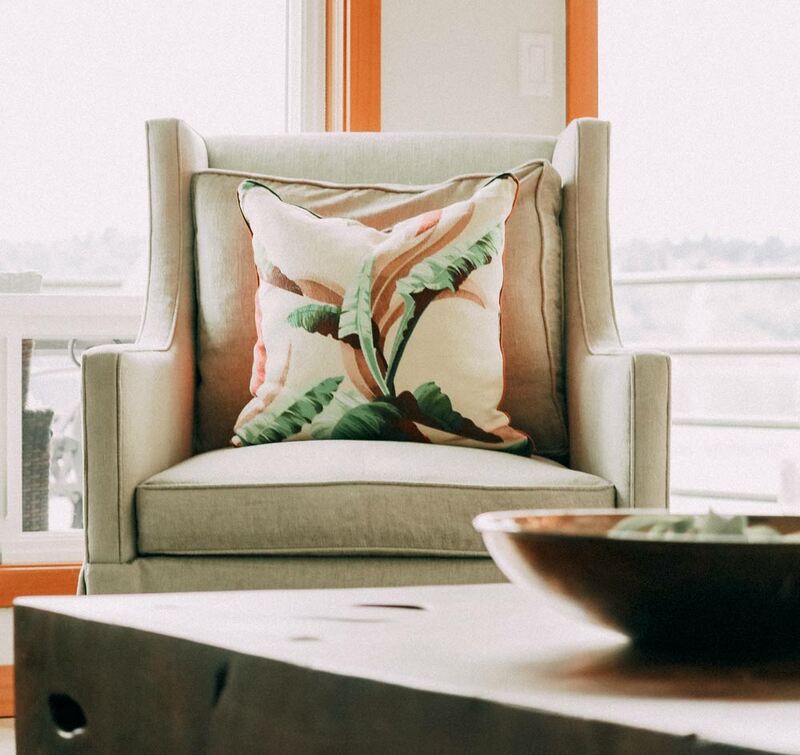 Fast forward 10 years and her business is now MD Design Group — a team of talented and service-minded collaborators ready to guide clients through the interior design process and getting to the heart of the clients’ needs to create spaces that feel natural to them. Michelle Doyle says she doesn’t place significant importance on design trends when she designs for a particular client because each person has unique aesthetic sensibilities. 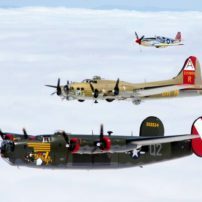 “While I haven’t met anyone looking to step back into the ’80s or ’90s for their design direction, I often hear they want ‘timeless’ while still having a sense of, “Yes! This space is exactly right for me,'” she says. That said, Doyle offers some insights into what’s trending for 2019. Flooring: Luxury vinyl tile (LVT) or luxury vinyl plank (LVP) keeps getting hotter and better. 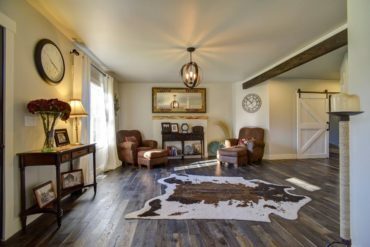 There’s still some demand for more rustic-style flooring, but there is also an unmet need for “cleaner” and more refined wood looks. “This cleaner look is more popular in European or more Scandi design,” she says. 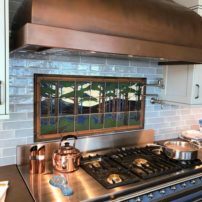 There are wonderful designs available in paste-on, as well as temporary papers that you can use to accent a wall or a backsplash. Many temporary wall coverings are vinyl and repositionable — you can feel confident applying them yourself and even having something that’s scrubbable (and if you have commitment issues, removable). 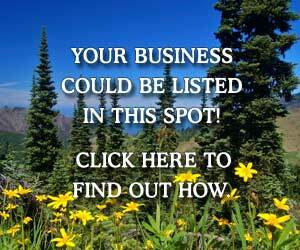 Many exquisite, handmade products (right here in West Sound!) can really make your wall or walls pop. 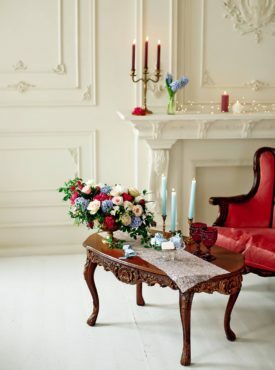 Many home-goods magazines are featuring frames for “gallery walls,” Doyle notes. 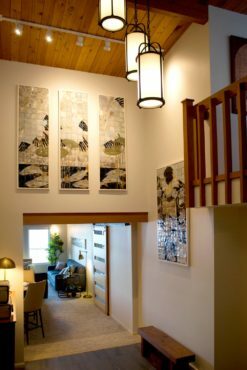 She says that a gallery wall is a great way to create a focal point in a space that may not have a lot of architectural appeal. 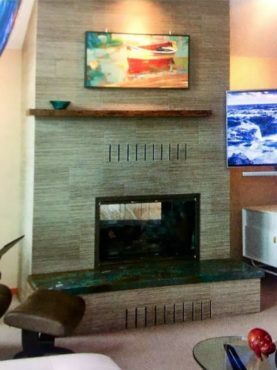 Original art is easy to come by — think estate sales, resale and repurposing shops and art galleries in the community, and you’ll never run out of sources for adding to or switching up a gallery wall. Some local artists also offer prints of their original pieces at a fraction of the cost of the original art. Finishes: There is a strong resurgence in natural-looking finishes. Marble looks are becoming more favored over tile finishes with less patterns. Improvements in manufacturing technology are making this possible, giving patterns more authentic appearance and more depth. “Adding to the richness of natural wood cabinetry (darker woods, walnut being a favorite), the scene is tempered by back-lit textured glass to create drama. The kitchen or a bar area are great places to create this drama,” she recommends. Cabinetry: White is a constant — it’s one of those timeless elements in a home. Doyle notes the trend of paring white cabinetry with an accent color (like a pop of color or a natural wood for the island), as well as using dark, inky colors (blues, blacks and grays) in painted cabinets. 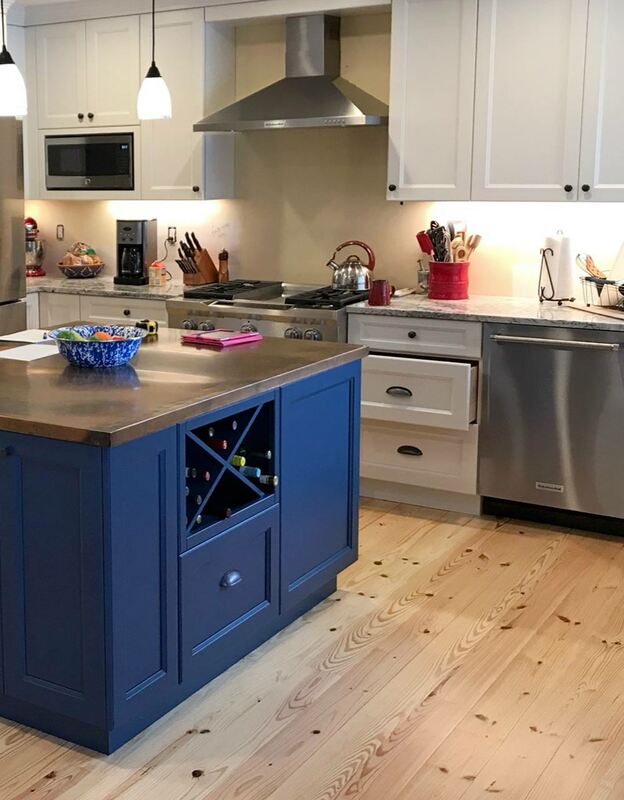 “We’re also seeing more natural wood cabinets — walnuts (presented in vertical or horizontal grain), ash and even knotty woods for a more rustic appeal,” she says. Advice for the novice: Use trends as information only. Just because something is trending doesn’t mean you need to follow it, she says. “The one trend you can never go wrong with is to ‘listen’ to your response to something. If you see something that just excites you to no end, then pay attention to that feeling,” she says. If you need help sorting through the myriad of all the beautiful designs, Doyle recommends finding a professional you can connect with (someone who “gets” you and isn’t afraid to push you just a little) to help create a cohesive home of your dreams. 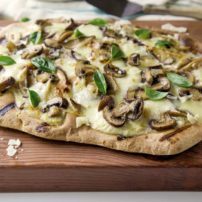 “If you do that, trend or not, you’ll always squeal with delight when you walk into your home,” she says. Nancy Finneson, AKBD, CAPS, CLIPP, Allied ASID, is an award-winning interior designer and kitchen and bath designer. She attended the Art Institute of Chicago and later received a degree in interior design. She is a certified associate kitchen and bath designer with the National Kitchen and Bath Association, a certified aging in place specialist, certified living in place professional and an allied member of the American Society of Interior Designers. 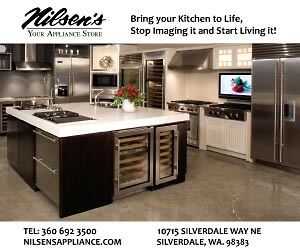 After spending many years in the San Francisco Bay area, Finneson now makes her home on the beautiful Puget Sound. 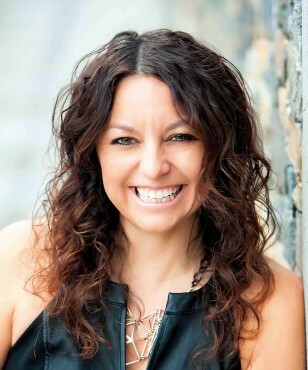 She loves working with people and enriching their lives by helping create spaces that inspire, entertain and function brilliantly. One of her favorite projects has been adopting and creating a room for the new YMCA domestic violence shelter in Tacoma. Recently she was honored with three first-place and one second-place awards for design from the prestigious American Society of Interior Designers. Compact, multi-functional furnishings and convertible spaces are the biggest design trend that Nancy Finneson sees for 2019. She says that efficiency in space is a high priority, and furnishings need to be able to adapt to different spaces or challenging rooms. Another request in high demand is for spa-bath experiences. Her favorite trend is eco-friendly living walls and vertical gardens, creating living works of art. 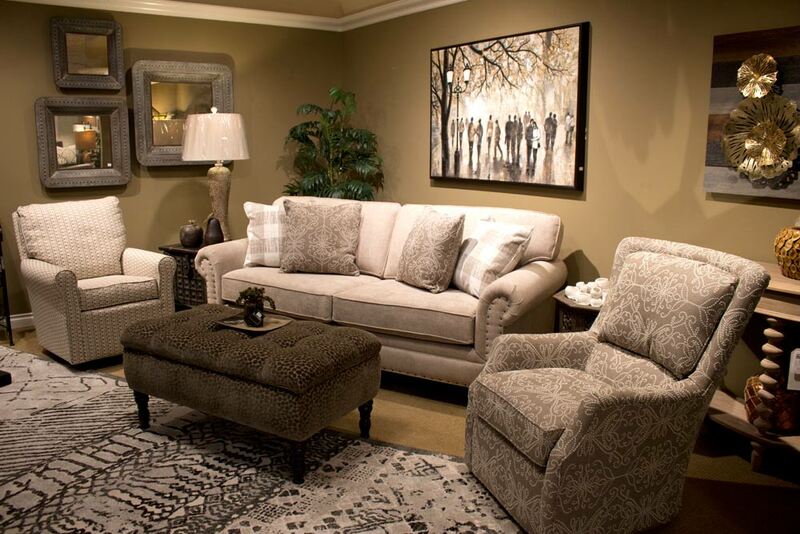 Color: Color trends are subdued shadows and light with neutrals for living spaces. One of her favorites is Metropolitan by Benjamin Moore, neutral and calming. Bold colors are also used, concentrated and deep, like Sherwin Williams Oceanside or Cavern Clay. “Flashes of color are also being picked up more in area rugs or cabinets other than the wall,” she says. Fabric and textures: Wallpaper is back and limitless with patterns and textures. Finneson recommends using it in a powder room on every wall to make a statement. “The laundry room is also a great place for wallpaper with a pattern that will make that utilitarian room feel special,” she says. Fabric choices that are fresh and trending are geometric patterns with symmetrical harmony. 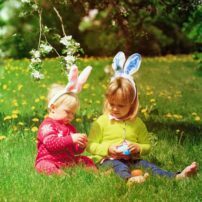 Fabric materials to watch for are recycled fleece and featherweight, breathable natural fibers. 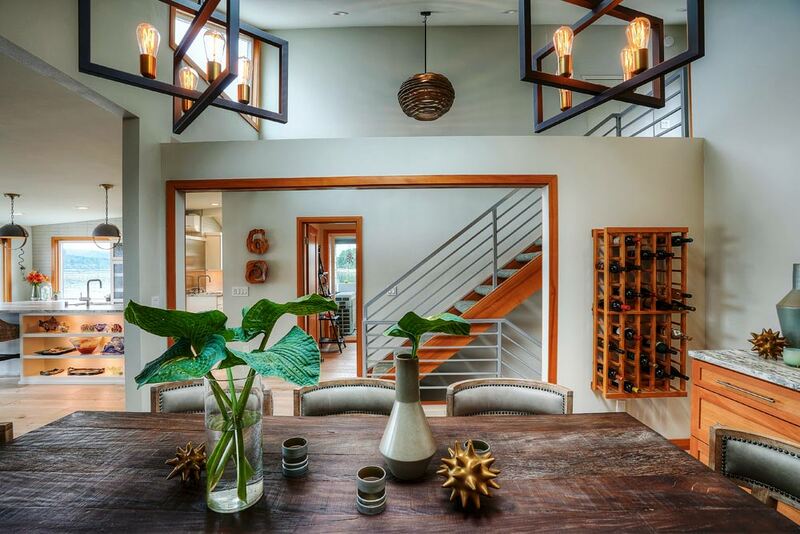 Lighting: A popular trend is blending modern lighting fixtures with all styles of architecture. 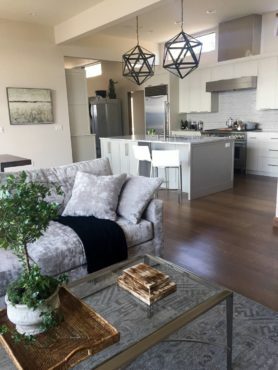 “Group a multiple of pendants together — they don’t have to match, but make sure they somehow connect to each other using similar materials or shapes,” she suggests. Windows and doors: People have embraced the look and ease of the barn-style door, Finneson says. They can have hardware that ranges from rustic to modern, simple to ornate. “The doors can be customized with decorative panels such as carved wood or metal grillwork,” she says. Glass panels work great in a space where light is welcome. They can be simple, with etched glass giving a defused glow, or decorative with textured glass. “This style, as doors, can be used for bath or bedroom, pantry door, separating the kitchen from a family room — the placement is endless,” Finneson says. She notes that many people are trading out their wall cabinets in kitchens so they can have more windows and more natural light in our sometimes-gray weather. Technology: Finneson says it’s common to have your lighting or electric needs reviewed by a professional before a remodel or build. Finishes: If you want to make a statement with your finishes, matte black metals are current, she says. “It goes with the trend of mixing metals, such as soft gold with standards like brushed nickel or chrome. 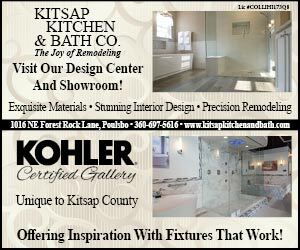 Not overdoing is the key to success with mixing metal finishes,” Finneson recommends. 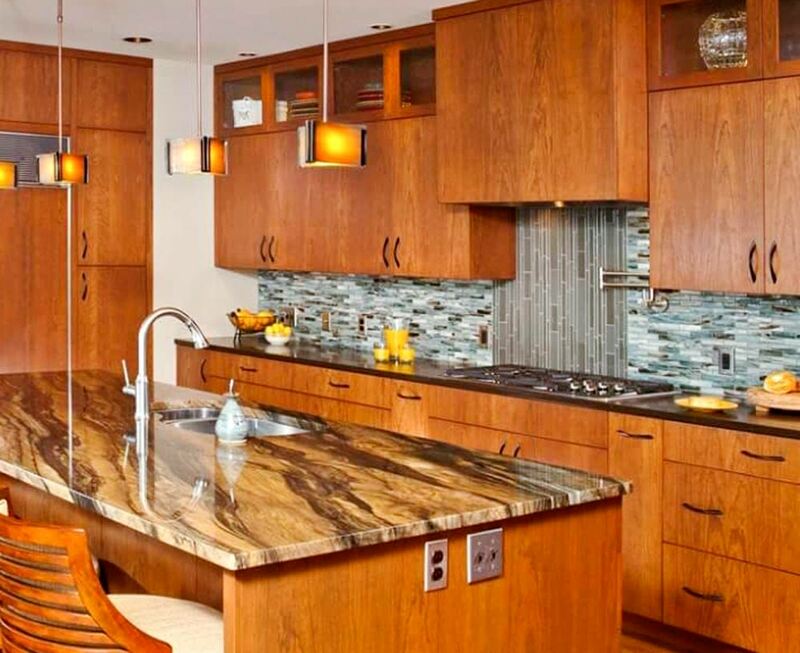 Counter surfaces: Quartz is the first choice currently for countertops, with many looking like natural stone. It’s easy to care for and eco-friendly. 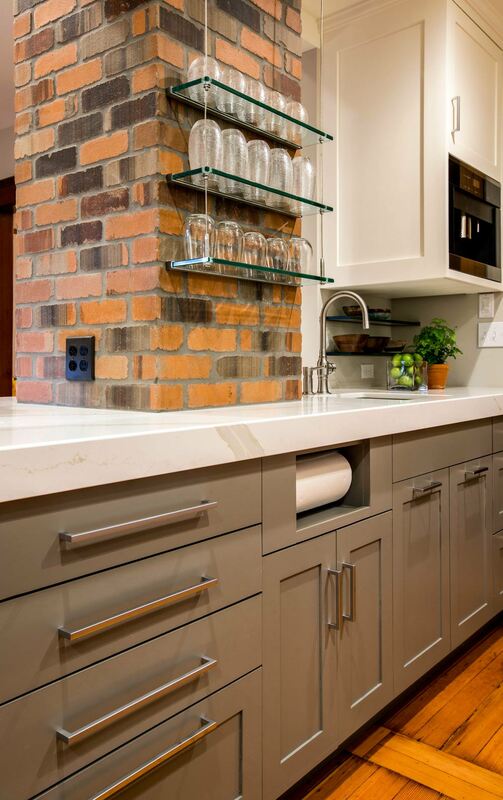 Glass and recycled wood are also popular, and Finneson still likes to consider natural stone. “A countertop is a substantial hard surface in most rooms, so always look at a large sample, preferably a slab, not just a small sample,” she says. Floor coverings: Carpets and area rugs with character are the trend for 2019. She says the entryway is a great place for a statement carpet, as it sets the tone for the home. Size matters, so make sure the carpet fits the area you want to place it in — and bigger is always better. Natural materials: Reclaimed wood, exposed brick or metal can be beautifully integrated into a variety of aesthetics, contributing a soothing natural vibe in interiors. Advice to the novice: Your space should be livable and approachable, and the room should reflect something personal so it doesn’t look staged.